Ensure your printing has maximum impact with full A3 capability (print, copy and scan). With an extremely fast first page out time (FPOT) of only 6 seconds and fast print speeds of up to 35 pages per minute mono and 27 pages per minute colour, this printer will save you time. Designed for medium to heavy print users, the MFCJ6530DW’s high yield ink provides a cost-effective solution; great for your bottom line. 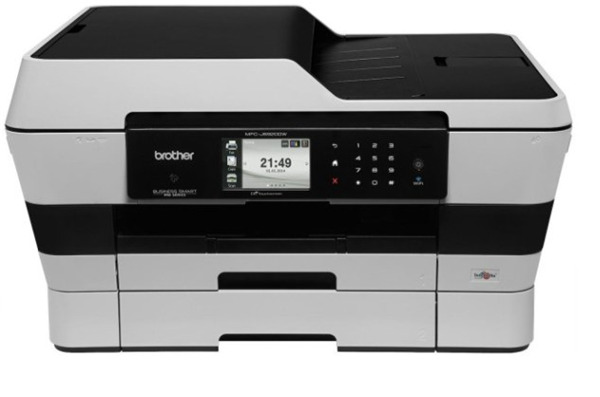 4 Year Onsite Warranty - When you purchase a Brother machine and use genuine Brother inks or toners, they will support you every step of the way with their 4-year onsite warranty commitment. If they can't solve your problem over the phone, an approved Brother Service Technician will be sent to repair your machine - free of charge. © 2003 - 2019 Consumersave. All rights reserved.